Sorry, Bambi!. "Sorry, Bambi!" 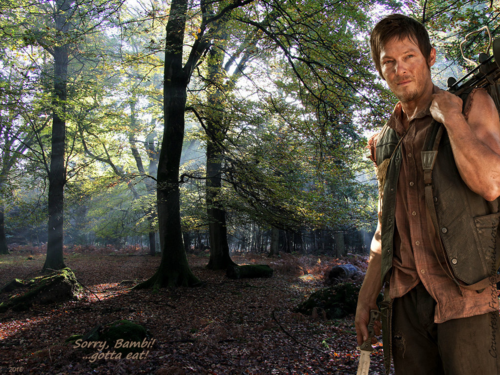 fond d’écran created par TheCountess features Norman Reedus as Daryl from the TV series 'The Walking Dead'. 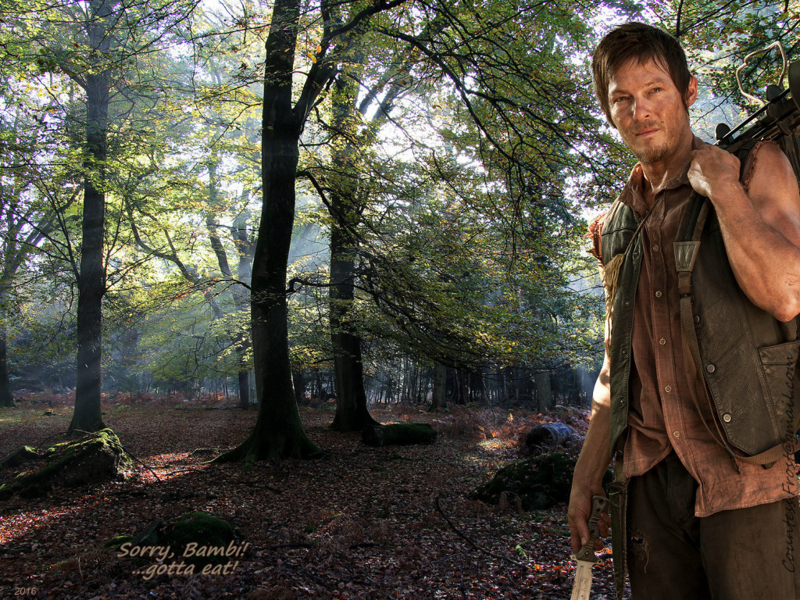 Note: no deer were hurt during the creation of this wallpaper.. HD Wallpaper and background images in the Walking Dead club tagged: the walking dead twd tv series daryl dixon norman reedus crossbow hunting knife fan art wallpaper thecountess. This Walking Dead wallpaper contains live oak, chêne, hêtre, and acajou. There might also be épinette de sitka, picea sitchensis, sitka épinette, épinette de sitka picea sitchensis, béret vert, forces spéciales, soldat d'élite, soldat d’élite, bouleau américain blanc, bouleau à papier, paperbark bouleau, canot bouleau, betula cordifolia, betula papyrifera, bouleau blanc américain, bouleau en papier, bouleau bouleau, bouleau canot, américain de bouleau blanc, bouleau paperbark, and canoë birch.